Filmed at 800 frames a second, these shots took a week to capture. “You have to be well hidden, because the ospreys won’t tolerate you being there.. They want to know they are safe to land in water. “You really don’t know where the bird is going to hit the water because you can’t see the fish. 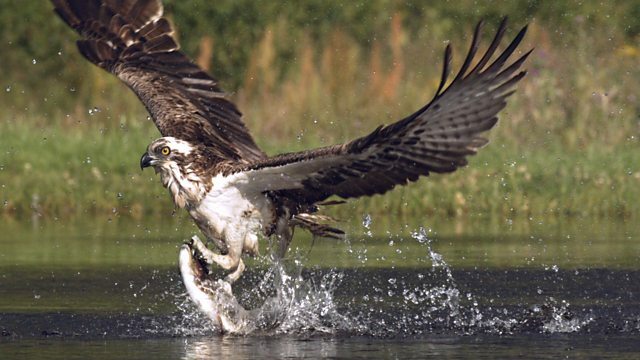 “You just have to frame an image on a bit of water and hope the osprey hits that particular bit… And because of the way the camera operates you just have to make a judgement call as to whether it is in the bag, as it takes time for the camera to process. And in that time, if you have missed it, the bird could dive again. Scotland is home to many cute animals running, sleeping and swimming in the wild. Why do dolphins vomit Atlantic salmon?